Full disclosure: I didn’t think I’d like World War Z (Zombies? No thank you.) and only started the novel because I had to (yes, that still happens). Nevertheless, author Max Brooks surprised me with a unique structure and intriguingly compelling story. 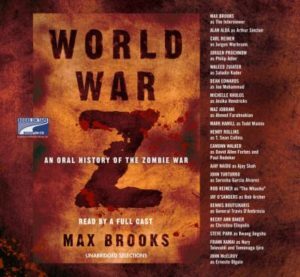 Set 12 years after the end of the zombie war, character Max Brooks is traveling the globe interviewing those involved in the conflict. Each character shares their experiences, relaying information on the causes of the zombie uprising, challenges of the war, and the rebuilding process. The story is not graphic or gruesome and somehow, is realistic (despite the zombies and the post-apocalypse). Listen to the audiobook: because the story is composed of a variety of interviews, a full cast narrates the immersive story—lending the book true crime and living history elements. Narrators include Alan Alda, Martin Scorsese, Simon Pegg, Alfred Molina, and many more. A determined mother must lead her children to safety on a riverboat while they all remain blindfolded. In a world overrun by creatures that can kill a person merely from being looked at, this is their only option for survival. 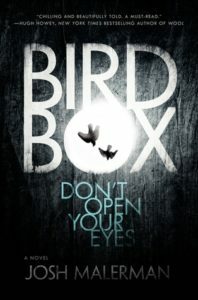 Josh Malerman’s Bird Box is both horrifying and beautiful, making the reader feel just as blind and helpless as its characters. Since it’s the month of scary stories, check out other contemporary horror novels too. Gwendy is a young girl that is desperate to lose weight before the start of the new school year. She spends her days running up and down what’s known as the “suicide stairs” in her hometown of Stephen King‘s fictional Castle Rock, Maine. Her responsibility and dedication is strong enough to prove to a stranger dressed in black that Gwendy should be the recipient of what he calls the “button box.” All Gwendy knows about the box is that it holds vast power and that she must do all she can to use it wisely. In Gwendy’s Button Box, we follow Gwendy and how her life changes as she understands what it means to be the box’s caretaker. Stephen King and Richard Chizmar have written a novella that is short and lean, every moment feeling crucial to the overall tone and story. This book perfectly demonstrates King’s ability to make the reader unable to stop themselves from turning page after page while simultaneously being terrified of what they might discover when they do. Two men have endured through the tragedy of what it means to become a widower. By being there for one another and bonding over their passion of fishing, they are able to slowly come to terms with their grief. However, upon discovery of a small body of water known as Dutchman’s Creek, they come across an age-old legend that may hold the secret to bringing their wives back from the dead. The book tells two stories: one of the two widowers and one of the titular Fisherman and the legend of how he cursed an entire town with his black magic. The Fisherman is a horror story of human grief that transcends into fear at a much more cosmic scale. 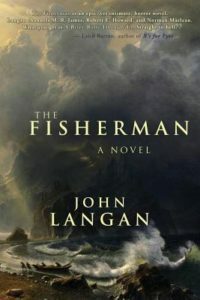 John Langan doesn’t shy away from his nightmarish portrayal of the afterlife and what it truly means in his world when someone is brought back from beyond. This novel takes realistic and grounded characters and introduces them to a world of horror that goes far beyond human comprehension. The Fisherman is a mature book for anyone that enjoys scary imagery and the fear of what may be lurking underneath our very feet. Reality TV is perhaps one of the most simultaneously loved and hated forms of entertainment to ever exist. Many of us feel a sense of intrigue and fascination in having a fly on the wall perspective of lives that we ourselves will never experience, yet many of us find the idea of peering into the lives of other people to be disturbing. A Head Full of Ghosts takes the idea of reality television and crosses it with one of the most exploited genres in all of horror: demonic possession. Set in New England, the Barret family’s happy life is torn apart when fourteen-year-old Marjorie begins showing signs of schizophrenia. 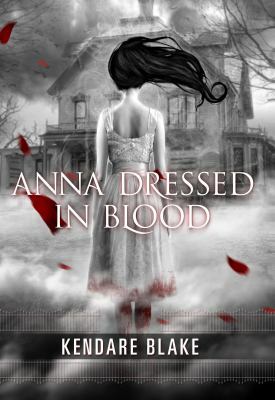 Her outbursts and bizarre behavior are nothing short of terrifying, causing her parents to scramble her from doctor to doctor, until they meet a priest named Father Wanderly, who believes that Marjorie is in dire need of an exorcism–but not before he contacts a couple of television producers and tells them of the Barret family’s plight. 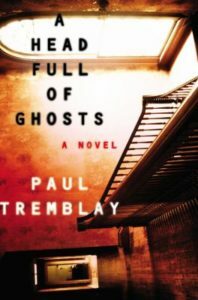 A Head Full of Ghosts takes place fifteen years after the reality TV show The Possession first aired, and the then eight-year-old Merry is the novel’s narrator as she recounts her memories of the filming process to a present day writer that is attempting to find the truth beyond what the cameras on the TV show portrayed. A Head Full of Ghosts evolves into a whirlwind of horror, satire, and mystery with an unreliable narrator that grabbed my attention and wouldn’t let go. By the end, I was left with a pit in my stomach as I reflected on the true horror of what I had read. Widely considered to be the greatest horror author of all time, Stephen King continues to write stories just as chilling and traumatizing as when he first started his career. Young Jamie Morton is enamored with Charles Jacobs, the new minister that has just moved to his small Maine town with his beautiful wife. Almost as soon as their friendship begins to blossom, tragedy strikes the Jacobs family and Charles loses his faith in God, leading to his banishment from the small town. Several years later, Jamie and Charles cross paths again. With Charles claiming to now be a traveling faith healing minister, he recruits Jamie to travel with him and heal the believers across America. While Charles’ abilities seem to be legitimate, it’s clear to Jamie that what he does to cure those who are sick ends up leaving them a lot worse after Charles is done with them. Jamie takes it upon himself to discover how it is that Charles is “healing” people and whether or not it should continue. Revival spans over five decades of Jamie’s life and his run-ins with Charles Jacobs. Over this length of time, King is truly able to develop his characters and show how they grow and change over time, for better or worse. 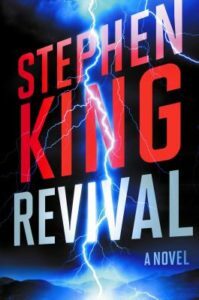 Revival may be Stephen King’s clearest attempt at writing a story in the genre that is commonly referred to as “Lovecraftian Horror,” and marks one of his greatest achievements. Want more horror recommendations? Check out Part 1 of this spotlight for 3 more titles. It’s the most wonderful time of the year! That’s right, October is finally upon us! That means it’s time for crisp autumn weather, pumpkin spiced everything, and all sorts of ghouls and goblins traveling from house to house to keep us scared and entertained. So, before everyone starts getting ready for the winter holidays on November 1st (sorry Thanksgiving), I’ll tell you about five horror themed novels that you can read this October. Today, we have 3, but check back on the 27th for 2 more! Joe Hill‘s newest novel tackles familiar themes of the post-apocalyptic genre, such as war ravaged civilizations, dystopian societies trying to rebuild after a catastrophic event, and, simply: the end of the world. Harper Grayson is a nurse from New England who makes it her sole priority to help treat and comfort everyone she can who has become ravaged with what is commonly referred to as Dragonscale: a mysterious new disease that has begun to spread across the globe. While no one is able to determine its origin or how it is transmitted, the only thing people know is that there’s no fate worse than catching it. Anyone who becomes afflicted with the disease may burst into flames at any moment, endangering anyone unlucky enough to be nearby. The Fireman is a novel full of dread and comic relief. While there is plenty to be scared of in this world, there is also much to love, laugh at, and find joy in. 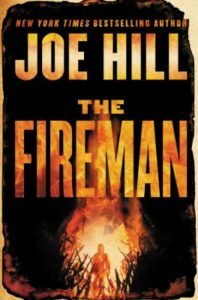 Joe Hill creates memorable characters that we care about and want to see survive, putting them through terrible situation after situation. Every horrifying conflict that arises feels natural and all too realistic, highlighting both the good, the bad, and the in between of humanity itself. The fear that Joe Hill instills within the humans of this world and how they choose to react to it is where the true horror lives. 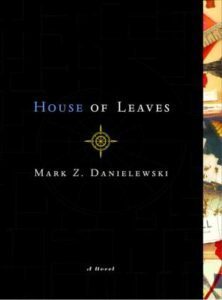 House of Leaves is a novel by Mark Z. Danielewski about a documentary directed by Pulitzer Prize-winning photo journalist Will Navidson about his family’s house. After moving into their new home, the Navidson family discovers rooms that weren’t originally there when they moved in and doorways leading to dark hallways that stretch on for impossible lengths. This is the center of focus for the horror story, as the Navidson family attempts to investigate and document their journeys into these very dark, dangerous, and ever changing hallways. House of Leaves is perhaps the most interesting and unique book I’ve ever read. The pages and the words seem to twist and turn in impossible ways, much like the endless rooms and hallways in the Navidsons’ home. Simply flipping through the pages and scanning how the words are laid out on the pages is a remarkable experience in and of itself and the way the book is written helps the reader to dive into the madness and experience what the characters are going through. At first glance, this book seems to be made up of the ramblings of a mad man. Interestingly enough, that’s exactly what it is. My suggestion is to find a copy and flip through it yourself. If your eyes are drawn to and intrigued by the layout of the pages, you may want to take this book home and let it consume you. By the end, you may find that your sanity has slipped to some degree, but that’s okay. After all, we all go a little mad sometimes. A Dirty Job follows Charlie Asher, a new father and even newer widower. Charlie is forced to now raise his newborn daughter by himself while also continuing to run and operate his second hand resale shop with only two employees: a high school goth and a retired cop. 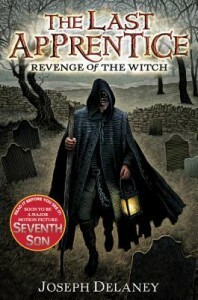 Because of the circumstances surrounding his wife’s death, Charlie has found himself to become one of the Grim Reaper’s little helpers. Charlie is now one of many in New York City that is responsible for collecting the souls of the recently departed and selling them to prospective new owners through their resale shops in order to stop an ancient evil from awakening and devouring the planet. While this isn’t a straight horror story, the horror theme is present throughout and integral to the plot. For those that love horror stories, this is a great book to laugh with rather than be scared of. There aren’t many horror stories like that and even fewer that do it well. I laughed out loud while reading A Dirty Job more than I ever have with another book; it even caused me to stop reading because I needed a break to laugh about a good joke. And this book is just as heartwarming as it is funny. 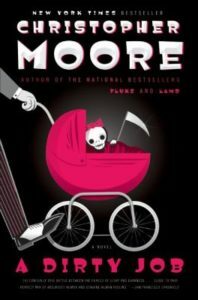 Many moments had me near tears and I genuinely cared for the characters that Christopher Moore wrote. Every character had their own unique voice and brought a level of depth and creativity to the story that many authors would find difficult to emulate. 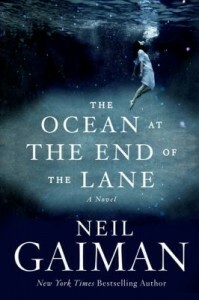 I read The Ocean at the End of the Lane one afternoon, and was quickly drawn into the magical world that Neil Gaiman created. After giving a eulogy at a funeral in Sussex, England, a middle-aged man decides to re-visit the house at the end of the lane which he visited as a child. This is a lovely farmhouse full of warmth and fresh, delicious food. It’s where the Hempstock women lived—the elderly grandmother, mother, and Lettie, the daughter with whom he was friends. As a young boy, he learns that the Hempstocks are guardians who ward off dark forces that surround our world. During his visit, a frightening childhood memory of a dark, menacing presence that entered his life in the form of a young woman named Ursula resurfaces. A young Australian boy searches out the mysterious past of his mother in postwar England based on the clues revealed in the ghost stories composed by his great-grandmother. 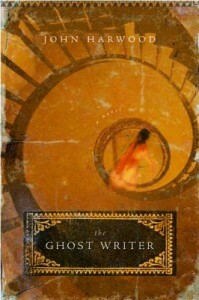 A few of the ghost stories are included, and it becomes increasingly hard to discern if art is following life, or life is following art in John Harwood’s The Ghost Writer.